I strongly believe that our PM prospect Mister Narendra Modi would beat the sales record of Chetan Bhagat if he would write a book on “How to sell yourself?” or “How to brand yourself?” and would definitely be the most rewarded bestselling author of the era. Being from marketing background, I admire each and every move of this brand personality. Hats off NaMo! Well, merely marketing won’t solve the actual purpose of the customers. Delivering quality product and service matters according to the needs and wants of the customers is the bedrock of Philip Kohtler’s marketing concept. In this context, the electorate plays the role of the customers. Their payment in terms of votes going to decide the quality of the service of the Government for the next five years. NaMo has beautifully understood it and playing the cards of his game accordingly. The craziness or the loyalty towards the brand NaMo is the consequence of his branding strategies. The loyalty is acting as the iron curtain to the NaMo freaks who are impacted by so called NaMo wave, I also tend to call it as NaMo blindness. I don’t assert that NaMo doesn’t deserve to be the PM of such a vast democracy. But, I want to stress on the fact that ‘he is not the best option among the available ones’. This salesman cleverly projects two selling points in his campaigns viz. development and governance for which he demands for STABLE GOVERNMENT. So, the supporters or the people are convinced that only STABLE GOVERNMENT can deliver development and good governance. If you are convinced with this fact, what is the logic behind the pointless question towards the popular yet controversial common man transformed to political leader Mister Arvindh Kejriwal, “Why did he quit the Delhi Government though people wanted him to continue?” Because, without stable Government, how come he could deliver his promise of corruption free Governance? In fact, what media claimed as ‘the political drama’ is the struggle faced by him in executing his vision on governance. He tried to implement his promises but couldn’t able to deliver because of the lack of majority. Give him the majority and then start your commentary. Can you just think about a political leader in the Indian political history who has quit the Government for a similar cause? If he is hungry for power like NaMo, he would have not dissolved the Government. If you claim that it was a political stunt, so as the marketing positioning of NaMo. 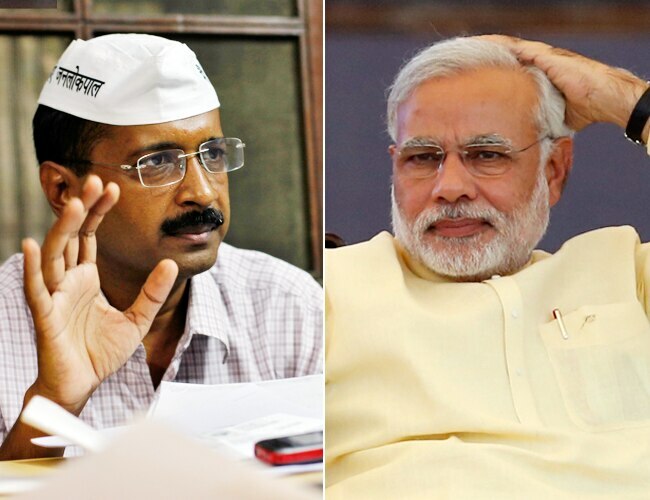 I bet that taking a risk of opting for AK is safer than opting for NaMo. For those who claim and support AAP only as a movement but not as a political party, I humbly request you to revise your primary school history text books to get to know about the history of Congress of today and so as the transcendental birth of BJP. It was a freedom struggle movement transformed to Indian National Congress which later transformed to the Congress of today. In between, BJP has taken birth because of internal counter views. So, the situation demands the transformation of any movement into political party which is undoubtedly a flawless move. History tells that the objective matters but not the form of means to accomplish it. Hence, AAP can be a political party derived from an anti-corruption movement. So, this claim isn’t valid anymore. There is a buzz word being floated among the people called “Change” which technically could refer to change of government at the center or change of governance. Both NaMo followers and AAP claim that they will bring the change. But, if you historically analyse the governance of UPA and NDA parties, you will hardly find any difference in their policies including the accountability of corruption. Only the noises during campaigning differ from each other. But, AAP, irrespective of its background, have come up with a really new and strong ideology of creating some change in the country. It has changed the style and the complete political machinery which would need time amongst people to understand and digest. Its evolution is going to make a big mark in the world history. But, it will definitely take time for the acceptance of the people. Anyways, this time, despite the surveys, it is a pretty simple prediction that NDA headed by NaMo is going to form the Government. On 16th of May, the entire country is waiting not for the results but for the strength of the Government at the center and the how far UPA is going to get cornered by its loyal people. And, of course, the vote share of the AAP across the country matters this time above which the confidence will be built over for the forthcoming elections.